Located on the North West Coast of Zanzibar, on a spectacular white beach, this resort offers a unique landscape considered to be among the finest in the world. 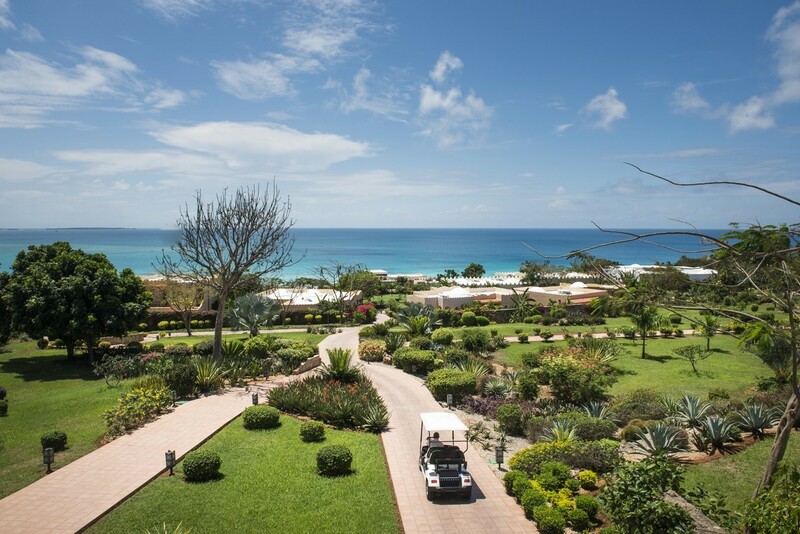 Here an ocean front setting lends itself to the perfect location for romantic sunsets in a magical atmosphere. 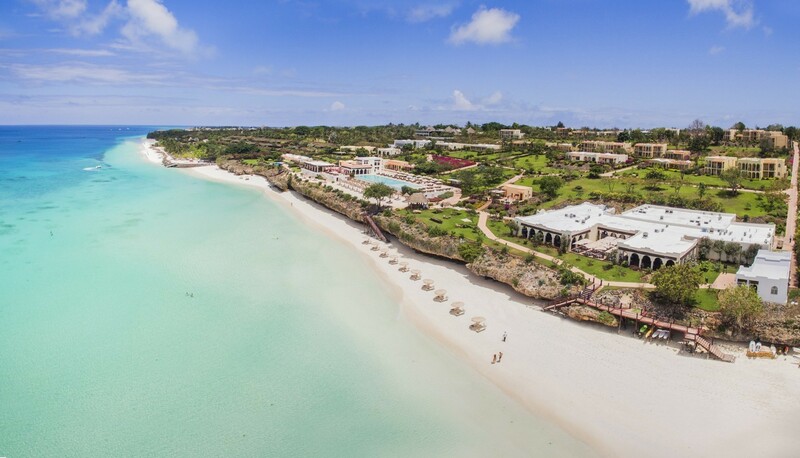 Riu Palace Zanzibar is an Adults Only Resort – no guests under the age of 18 are permitted. These suites have a sitting area with a sofa or a sofa bed. 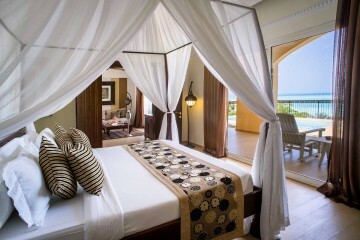 These suites have spacious sitting rooms, a hydro massage bathtub and shower cabin and a large terrace with a jacuzzi. Beach Villas have a hydro massage bathtub and shower cabin plus a terrace with a small private pool. 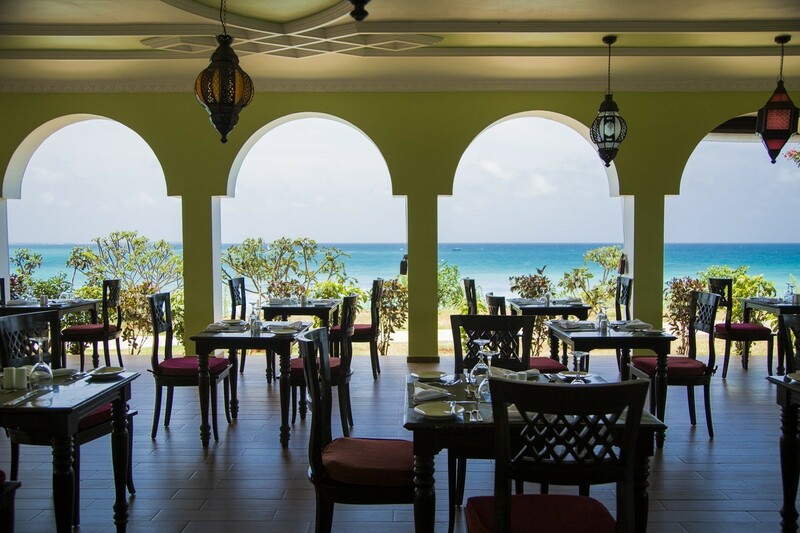 The main restaurant located on the beach, featuring indoor and outdoor seating areas.A lavish buffet is served for breakfast, lunch and dinner. Enjoy international cuisine with a special hint of Zanzibar spices. Ofers fans of Oriental food (Thai, Chinese & Japanese) the occasion to enjoy tasty and delicious creations, in an oriental and multi-ethnic atmosphere. This á la carte restaurant is located on the beach and opens for dinner. Offers snacks, soft drinks, exotic cocktails, local beers, in-house wine, juices, water, tea and coffee from 10h00 to 00h00 daily. 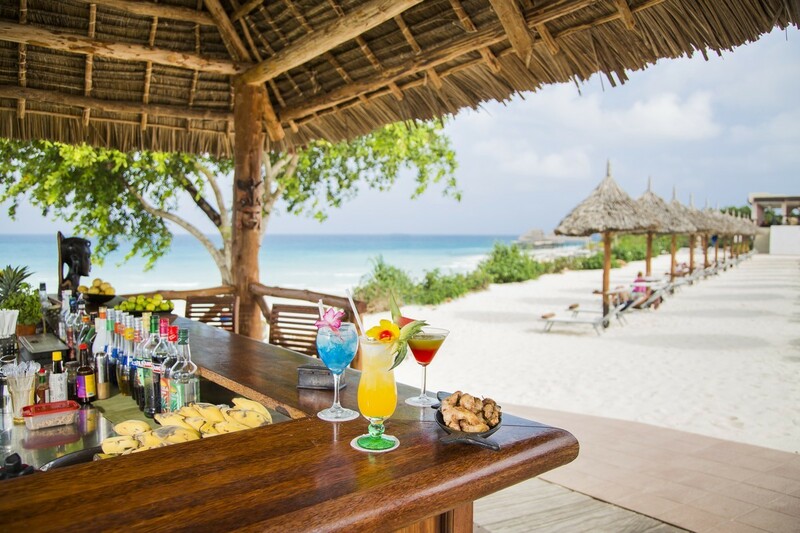 Located next to the Sunset Bar, this elegantly decorated lounge offers an excellent selection of cigars and Shishas, wines and spirits in a relaxed environment. Located directly on the beach, this bar offers a selection of drinks and snacks whilst you relax on your sunbed from 10h00 to 17h00.